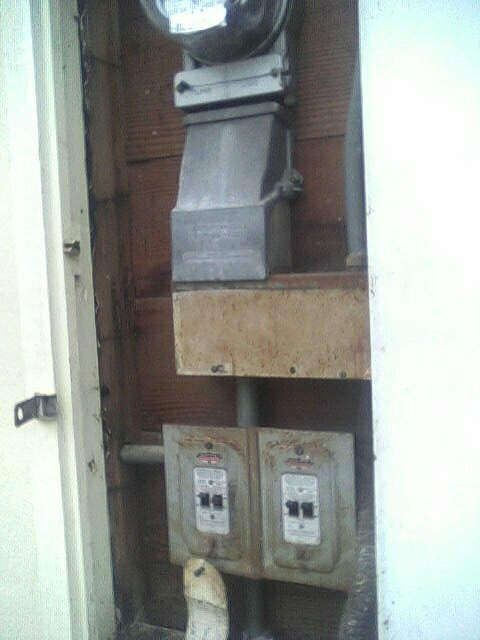 Odd ball multi breaker setup i came across today. The breakers are attached to the covers! Little unnerving to open standing in the rain today. I had two SQ D mfg. ones of 1943 vintage in my kitchen years ago, they were adjacent to the kitchen sink so much for working space. Was this an old 120V service? How far back did the attached service record tag go? 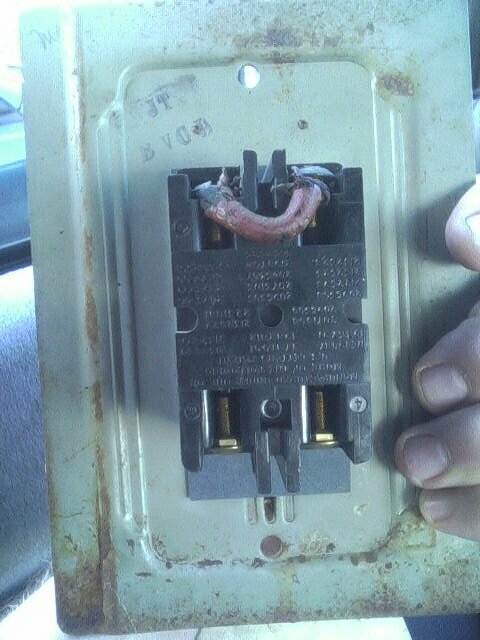 what brand of breaker and panel is that? Was the CB some sort of pull-out? seven , i belive this is a cutler hamer brand. FPE made one as did sguare D. i belive they were for 60 amp services at the begining of rural electrification.i rember when i was a kid seeing one in my grandmothers house.even took it out of the wall as it was so strange.luckily i didn't get shocked, as it been long disconnected.belive the one she had there were two 20 amp breakers. i happen to own one of these in a sguare D brand. Sven, fairly sure it's early Cutler-Hammer given the shape and colors of the "winged" logo. I agree that it's Cutler-Hammer. I wonder about that emblem, though. It doesn't seem that a logo in the colors black and red with wings like that would have been very popular in the U.S. during or post-WWII. How old do you think this is? I would guess that old logo was replaced by the late 50's,but could be wrong it will not be the first time and will not be the last. 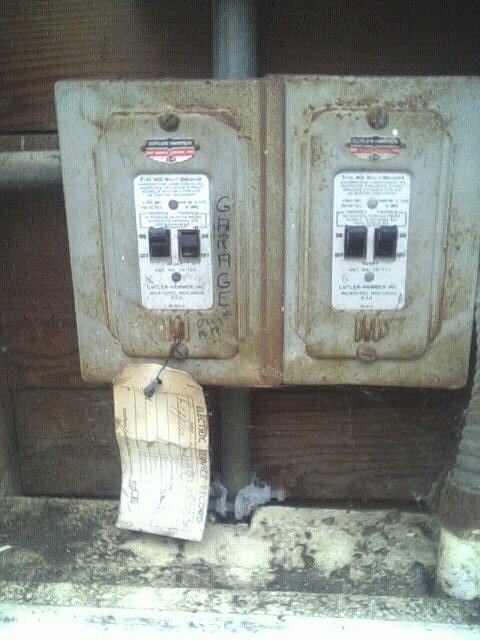 Scott, the service was 240V, one phase fed one plate, & the other phase to the other plate... The service record dated back to the early 80's not much use in timelining! LOL.... This was in fact, in Newport Beach! Right off Balboa Bl. I didnt know there were houses that old there either! but the homeowner said the house was built in 1935. LOL On the emblem colors... Ya think?